It’s Monday morning and I’ve been home for just about 36 hours, a significant portion of which I’ve spent sound asleep, trying to recoup the average of four hours per night I slept over the preceding week. I’m in a bit of a fog. I haven’t unpacked, literally or mentally. I have 700 unopened emails. I haven’t been keeping up with news or sports. (Peyton Manning is a Bronco?) I haven’t even checked to see if I was I-Spied. (Hang on a sec ... nope. Sigh.) In short, I’m a mess. As many of you know, starting last Monday I was in Austin, Texas, navigating the annual shitshow that is the South by Southwest music conference. It was an amazing experience and something all serious music fans should do at least once in their lives. But it was exhausting. And overwhelming. And utterly mind boggling. Sitting on my back deck writing this column, the warm, Texas-like sun beating down on me, I’m struggling to put my experiences into some semblance of order. And, yeah, I brought the weather back with me. Thought it was a better gift than a T-shirt. You’re welcome. I’ve been to the CMJ music conference in NYC. I’ve been to festivals. But nothing compares to SXSW in size, scope or sheer madness. Regardless of how much planning you do, how many showcases or panels you attend, how many party invites you accept or connections you exploit, you will always be missing something. On the flip side, you will accidentally encounter something as cool or cooler on a daily basis. Most of my favorite experiences from this year’s SXSW — or, in the douche-y fest lingo, “South by” — happened when and where I least expected them. My favorite set of the week came the night I arrived in town, before the music part of SXSW had even started. It was an LA punk band called Dead Sara, fronted by the most dynamic female singer I’ve seen in years. In a post I wrote for Seven Days’ staff blog, Blurt, following the show, I described her as “the second coming of Bikini Kill’s Kathleen Hanna. Or GG Allin.” I stand by that. I caught up with Burlington sorta-expats the Cave Bees, who currently reside in Austin, at another East Austin dive, the Grakle. The party was sponsored by the Austin Facial Hair Club, a group of fantastically bearded men who looked like extras from “Sons of Anarchy.” The Bees were part of a showcase of crazy Japanese metal bands. As you may recall, the Bees aren’t Japanese. Nor do they play metal. But they rocked, especially since they were joined by part-time Austinite — and Burlington guitar god — Bill Mullins. I saw Andrew Bird. 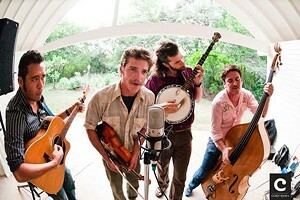 I saw the Punch Brothers. I saw a late-night set by Built to Spill. I saw an afternoon set by Roky Erickson. I saw Dale Earnhardt Jr. Jr. cover Whitney Houston. I sat in on a heated and fascinating conversation between a major-label friend and former 7D music editor Casey Rae-Hunter about online music streaming, the “plight” of major labels and whether Grooveshark is actually illegal. I ate too much BBQ. And Tex-Mex. I drank Lone Star beer. I discovered the hangover-obliterating power of breakfast tacos. I should really eat a salad today. A common criticism of SXSW is that what once was an outlet for undiscovered, and specifically Austin-based, bands is now little more than a corporate-fueled showcase for big names. Or, as a commenter on Blurt postured, that SXSW is “played out.” It’s a valid point. Corporate influence is ubiquitous at SXSW. And when people like me (media types) fawn over Bird and the Punch Brothers, it does steal some of the thunder from up-and-coming acts who could really use the exposure — c’mon, was I really going to pass up a chance to see those guys for free? Not likely. But to dismiss SXSW as “played out” misses the point. Because of the sheer magnitude of this festival, unknown bands still vastly outnumber the majors. And because of the craziness, you can’t help but discover new bands and experiences along the way. You’ll find yourself throwing knives with punks at a dive bar. You’ll get caught in a mosh pit while a band of flamboyantly dressed Japanese dudes tear through some of the most vicious metal you’ll ever hear. You’ll get hit on at a BrooklynVegan showcase by … er, never mind. When I left for Austin, one of my editors asked what my “goal” was for SXSW. I didn’t have a good answer. Looking back, I think the goal was to get lost. And then to reemerge with a better appreciation for how much incredible music the world has to offer, and how Vermont fits in. It’s easy to feel like we’re stuck in a bubble here. In many ways, we are. But that’s part of what makes our little music scene unique and special. Seeing a monstrosity like SXSW and then coming home to Vermont’s cozy music community helps put what we do here into context and appreciate it that much more. Also, the knife-throwing thing. Calling all Material Girls! (And boys.) This Saturday, March 24, Radio Bean hosts Madonna Night, an all-star tribute to Madge, featuring a cavalcade of local acts, including Caroline O’Connor’s new band Vedora, Lily Sickles, Pooloop, Dino Bravo, Jenny Montana and Ccciccoone, among others — the last band I assume to be some incarnation of Bean owner Lee Anderson’s band, Cccome? This is actually the second time Madonna Night has happened at the Bean. The first was in 2007, and Anderson still claims it was the busiest night in Bean history. 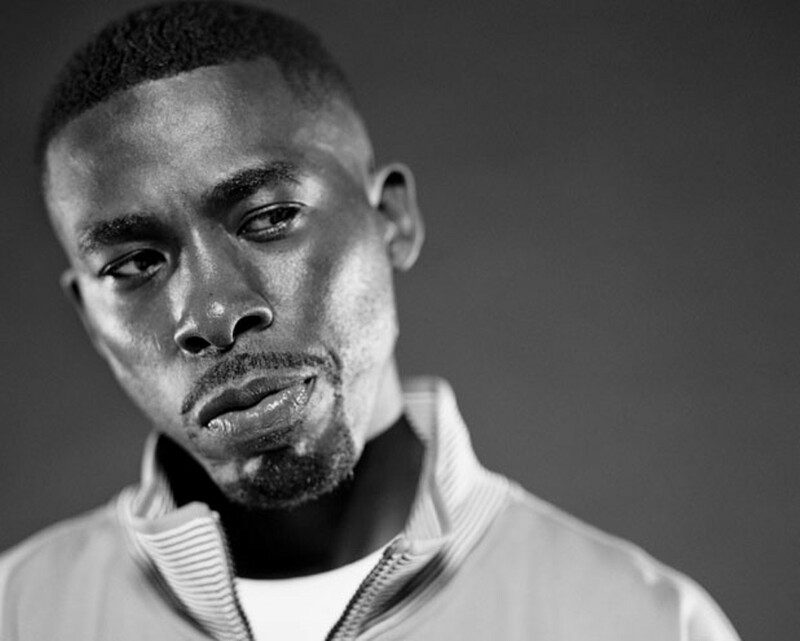 Hip-hop fans, Wu-Tang Clan’s GZA is playing the Rusty Nail Bar & Grille in Stowe this Friday, March 23, and he’s bringing a ton of local heat as support. Slated to open are VT hip-hop favorites the Lynguistic Civilians, 2nd Agenda, the Aztext and Boomslang. Word. Last but not least, since I blew most of the column on my SXSW shenanigans, we’ll have a special blog edition of Soundbites on Blurt this Thursday, March 22, with a few more bits and pieces that didn’t fit in print.